Consecrated life in the Christian tradition is as old as the legendary Thecla, companion of St. Paul, who baptized herself in preparation for facing the lions in the Roman arena, and as new as the sisters who met with Pope Francis at the Vatican this past spring. This observation turned out to be true. For many of us, the experience of Church coincided with the experience of sisters and brothers fully staffing schools and hospitals. That era was part of a history which stretches back to the early days of the Church, and, which has given way to our present time, when it is sometimes necessary to explain ourselves. Religious life is a way of living the Christian life, which usually includes communal living and the public profession of vows in a community approved by the Church. So how did this all begin? Let’s get Thecla out of the way. She is part of an apocryphal story dating from the first century A.D. The legend tells of Thecla, a young noble virgin, whose resolve to remain a virgin resulted in a sentence to be thrown to the lions. While in the arena, she saw water. Thinking it might be her last chance to be baptized, she proclaimed that she was baptizing herself. APOSTOLIC COMMUNITIES, which maintain a major focus on apostolic works. We Carmelites also have a founding myth in our background. From earliest times, the Order has looked for inspiration to Elijah, of the Book of Kings. The Scriptures tell of the prophet, around the ninth century B.C., dwelling and praying on Mount Carmel. The myth proclaims the continuing presence of a school of prophets on Carmel from biblical times through to the 13th century A.D. 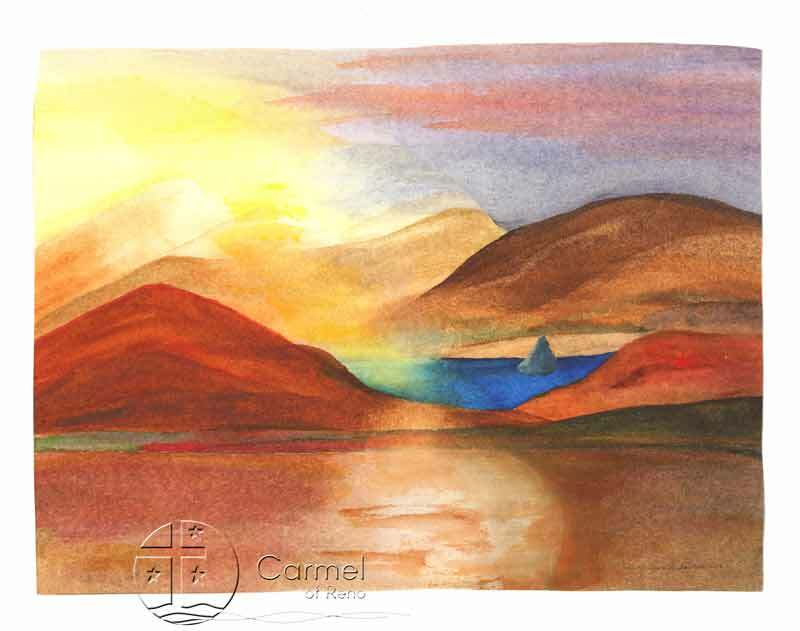 Historically, the Carmelite Oder was founded when Albert, Patriarch of Jerusalem, wrote a Rule of Life in the 13th century for a group of hermits who dwelt in caves on the western slope of Mount Carmel. We, the Sisters of Reno Carmel, trace our beginnings back 800 years to these founding brothers on Mt. Carmel. Our connection to the ancient traditions of our Order came in the persons of the sisters who arrived in Reno on August 24, 1954. The sisters came to this city to begin a house of prayer. 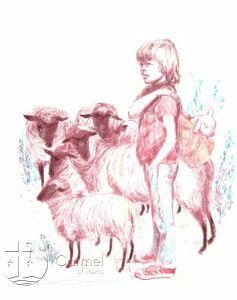 Rooted in the tradition of Carmel, the young pioneers planted well and the contemplative life continues to flourish today and is an integral part of the Church community of Nevada, as well as a part of Carmelite communities throughout the world. As we reflect on our 60 years in Reno, we are also aware of the unique time in history in which our monastery was founded. It was the era after World War II, and the Holy Father was urging the convents to seek remunerative work. The Second Vatican Council, which urged all religious to reimagine their style of commitment in view of a modern era, would take place within 15 years of our founding. In the United States, forces were being discovered that would change the face of American society. While societal changes took place outside the cloister, they also shaped the vision of the new community. 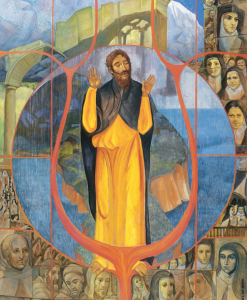 Years later, our collegial form of leadership, our print shop, the form of the divine office, our embrace of the principle of unity in diversity, and our outreach to the community outside the monastery continue to testify to our place in a unique moment in history. Our contemplative life of prayer is based on the Primitive Rule of Mount Carmel, but has been reinterpreted in the context of today’s daily life in northern Nevada and the world at large. At the heart of the culture of our vocation remains an intense love of Jesus Christ, lived in community, capable of embracing the whole Church and the whole human race. We have looked to the past with gratitude. We are living the present with passion. We embrace the future with hope.